42 Projects for S.J. Janis Company, Inc.
18 Reviews for S.J. 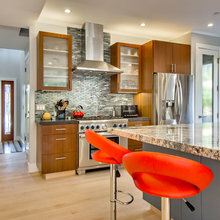 Janis Company, Inc.
SJ Janis completely transformed our 40 year old kitchen into a contemporary vision. 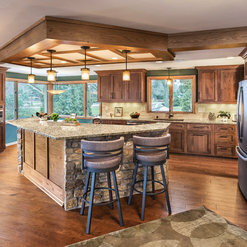 They had the engineering expertise to take down a load bearing wall and re-route existing plumbing, electrical and HVAC into beautiful, custom crafted columns in our island. 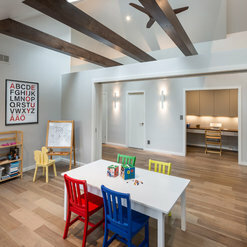 Their design was elegant, but warm and they made the entire space way more functional and open for our family's needs. I highly recommend them to anyone. SJ Janis is detail oriented from start to finish. 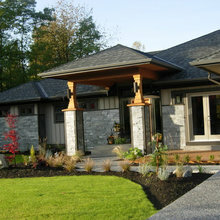 The company provides extensive upfront construction plans to ensure customer design expectations will be met. Every cost item is laid out all the way down to individual pieces of cabinet hardware. Continual day to day communication during the construction process ensures customer satisfaction. Road bumps are resolved immediately. Employees are professional and enjoyable to work with. At the beginning, the company walks into your house as an unknown. At the end, the company leaves as a large number of professional friends. Highly recommended. We've used S.J Janis twice. 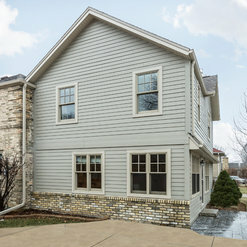 5 years ago they added a back extension to our house creating a larger living room, new master bath and walk-in closet. 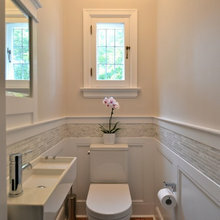 We liked it so much this past summer they redid our kitchen and guest bath. Their workmanship, quality and design exceeded our expectations. The budget and the timeline were met both times. Communication was so good I still consider them friends. We highly recommend them. I hired S.J. Janis to do a complete remodel of the kitchen in my mid-century modern home and am extremely pleased with the end results. The kitchen was for the most part an original, galley style kitchen seriously in need of updating. Nathan and Joe at S. J. Janis worked closely with me to develop several plans that opened up the kitchen into the dining room and living room. I was very impressed with the level of knowledge and professionalism that everyone on their staff displayed. Once the project was underway I met weekly with the project manager to get updates on the progress and discuss any questions or concerns I might have. The few surprises during the construction were handled quickly, and without any fanfare. The quality of the work was top notch, and any flaws I noticed (and I went over everything with a fine tooth comb!) were fixed with no questions asked. The project stayed on budget, with a slight delay of a week in completion. Overall, I was thrilled with the end results, and love cooking in my new kitchen while being able to look out over the view of the river in my back yard. 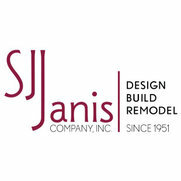 I wouldn't hesitate to hire S. J. Janis again for other remodeling projects. 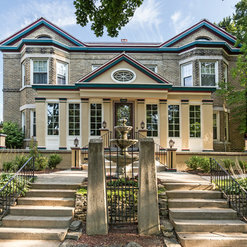 We worked with SJ Janis on a residential remodel project in Wisconsin. We interviewed half a dozen design-build contractors for this project because the design was unique. It was clear early on that SJ Janis would be the best choice, as we were very impressed with Nathan’s background in and appreciation for architectural design, and his keen attention to detail. SJ Janis was able to complete the construction documents phase for us and get the bidding done in an extremely timely and professional manner. Once the construction started, the quality of materials and workmanship was evident. Our architectural firm and the clients could not be happier with the finished results. We would highly recommend Nathan and his crew to anyone. S.J. Janis installed a new living room ceiling, recessed lighting, second story plumbing, stone veneer and mantel for the fireplace, and crown molding. Our overall experience with S.J. Janis was extremely positive. Every aspect of our project was discussed thoroughly before work began, so there were no uncertainties or unpleasant surprises. Once the work commenced, the project manager provided us with daily updates. The communication was outstanding. We had a lot of faith in the project manager (Dan Holdmann) and felt we could really trust his opinion. All of the work on our project was completed on time, and we were thrilled with the results. We would definitely use S.J. Janis again in the future! We remodeled our master bath and bedroom. SJ Janis was able to fulfill everything on our wish list without breaking the bank. The project was done on time and with great care. I also sleep easy knowing that if anything needs repair SJ janis will help us out. Beautiful! This is our second project with S.J.Janis. They did an amazing job on our basement that when time came to do our laundry room they were our only choice. The design process beginning with sitting down with Joe Klein and Nathan Wachtl is stress free. They listen to what you want and try to keep within the budget you set. 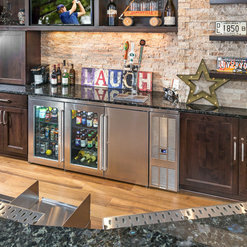 They offer creative design ideas from materials, fixtures and the overall look. Shawn Hubatch, my project manager kept me current on the work schedule. The contractors they work with are generally all very professional and courteous. There was one glitch that was handled well without any resulting delay in project time. The work site is always kept tidy. 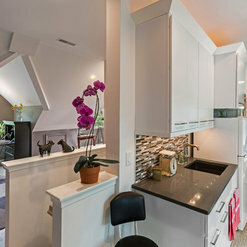 Our laundry room is absolutely stunning! We look forward to working with S.J. Janis for future projects. S.J. Janis built a marvelous 4-season room as an addition to our home; this large project, from demo to completion, took approximately 3 months. 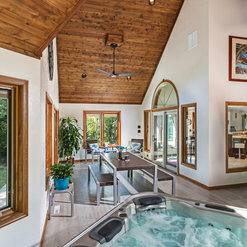 We ended up with a spectacular space, better insulated than the rest of our home, with separate HVAC to moderate the heat and humidity generated by the enclosed spa. From the beautiful cedar ceiling to the extremely attractive and durable stamped concrete outside, this is a piece of art. They had excellent ideas for us along the way, for example, the use of Kardean Loose Lay flooring material - a great product that I had never heard off. From planning to project meetings to the actual construction, this was superlative work. Plus, zero punch list at conclusion! My husband and I were very happy that we chose Sj Janis for our addition. 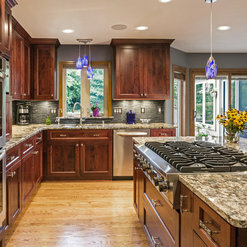 We had a big project (new kitchen, sunroom, full basement) and we needed a company that would be able to manage it. They finished on time (actually early) and stayed within the budget. They have relationships with the area tradesmen that goes back decades. The workmen that came to the house were on time and professional. Any questions or concerns we handled immediately. Most importantly, the finished product looks amazing. The attention to detail really stands out. I would not hesitate to recommend SJ Janis to anyone. They were a very professional company. Although pricing was very high and out of my price range, if given the opportunity I would use them. I have had many others who use them and like the work they did very much. A very complete company from design to build to post project work and closeout. 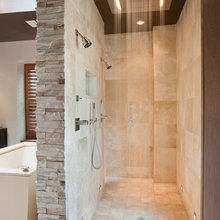 Since SJ Janis did a great job on our kitchen, we decided to have them design a new master bathroom for us. Our old bathroom had a giant tub which we never used and only one sink. The new plan has a giant shower and two sinks. We were very happy with the results which continue to garner compliments from our friends. The bathroom is very striking with white marble and dark green glass tile on a curved shower wall. The workers were very professional and pleasant. All the subs were also easy to work with and communicated well with us regarding all the aspects of their products. We had a wonderful designer and interior designer as well which made our decision making a lot easier. 9 Ideabooks for S.J. Janis Company, Inc. 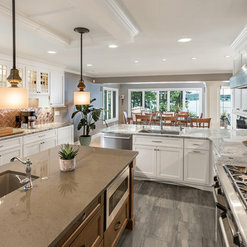 Commented: What are the dimensions of the kitchen and island/island countertop?Hello, the kitchen is 12'x12' and the island cabinet is 2'x2'. 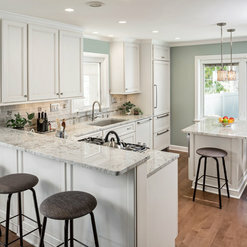 The island countertop is 4'x3'. Hope this helps! Commented: What type of exhaust vent is that in the ceiling over the stove?Hello, this was a custom remote exhaust hood blower to retain as much space as possible in the kitchen. Commented: Can you please provide me with the brand and color of paint used on thHi, sorry for the delay. The wall paint is Sherwin Williams Macadamia #SW6142 and the ceiling paint is Navajo White #SW6126. Commented: what is the distance between countertopsThe distance between countertops is just under 5'.